My PC broke and when I sent it off to be repaired it couldn't be fixed so I have lost all my files, resources, notes and research. That means that a 2019 version is very unlikely as are any other new versions after that. 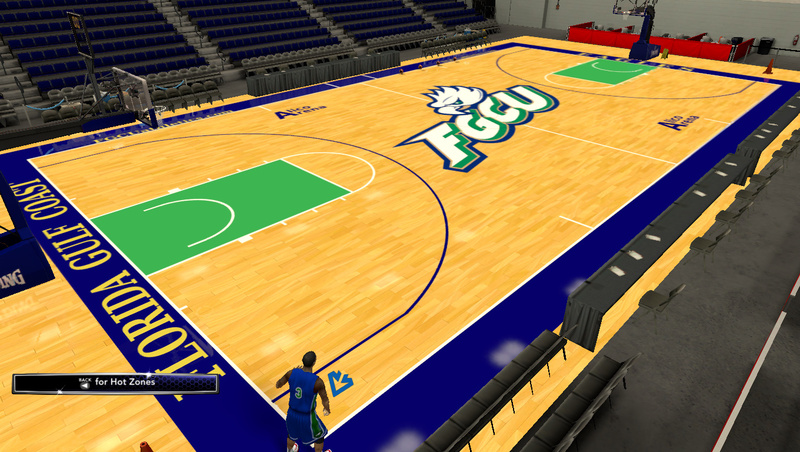 I'm now going to focus my efforts on completing my 2012-13 NCAA season mod. Thank You for all your support on this project everyone! Sad to see it end this way. Well, I am a major time college hoops fan and it is no joke literally impossible for me to get an official version of College Hoops 2K8 over here in Ireland. I know that there are 2 other college hoop mods being made this year but I swear to you that my one will be unique to all of them. My mod will feature the smaller colleges that have never appeared in any mods before. 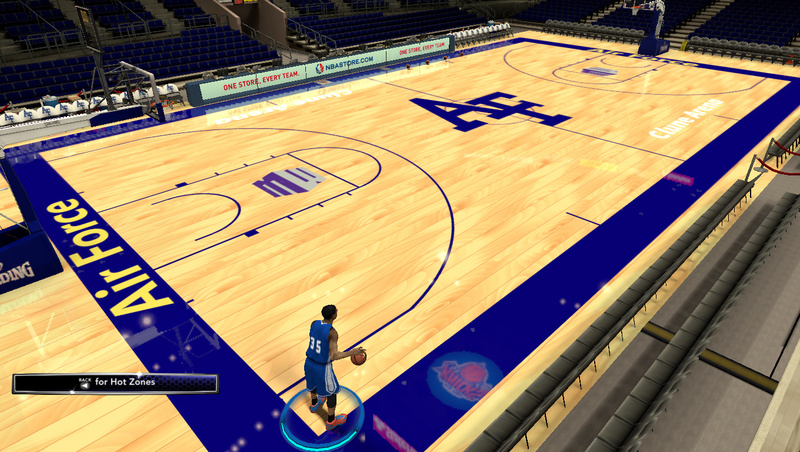 This also means I have to create all the floors, jerseys, stadiums etc. from scratch by myself. This is also my first ever attempt at modding NBA 2K14 whatsoever so I might make some mistakes along the way but even already I have corrected a lot of my early errors. I'm getting better every day with some huge help from JaoSming's amazing tutorials and have JDAGOD help me out with any other little problems I have had. - JaoSming for his skipped video intro file. - Maravich, TGsoGood, JDAGOD and CertifiedBenchwarmer for their cyberfaces! Last edited by DaCrispy on Fri Jul 13, 2018 11:12 pm, edited 49 times in total. DaCrispy wrote: Well I am a major time college hoops fan and it is no joke literally impossible for me to get an official version of College Hoops 2K8 over here in Ireland. I know that there is 2 other college hoop mods being made this year but I swear to you that my one will be unique to all of them. 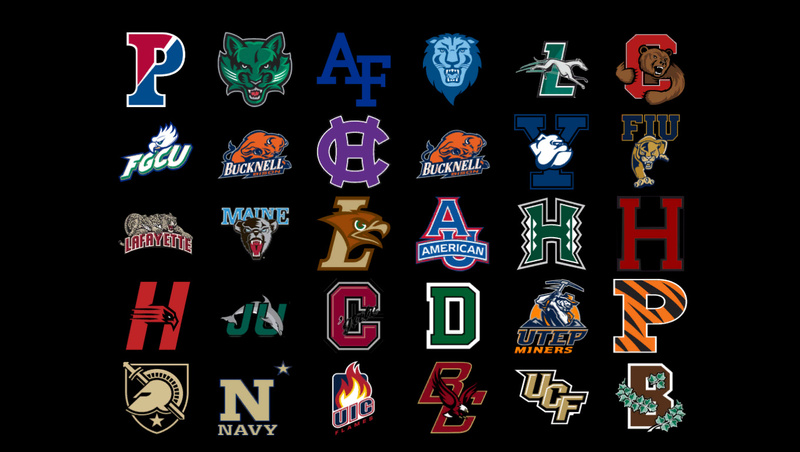 My mod will feature the smaller colleges that have never appeared in any mods before. 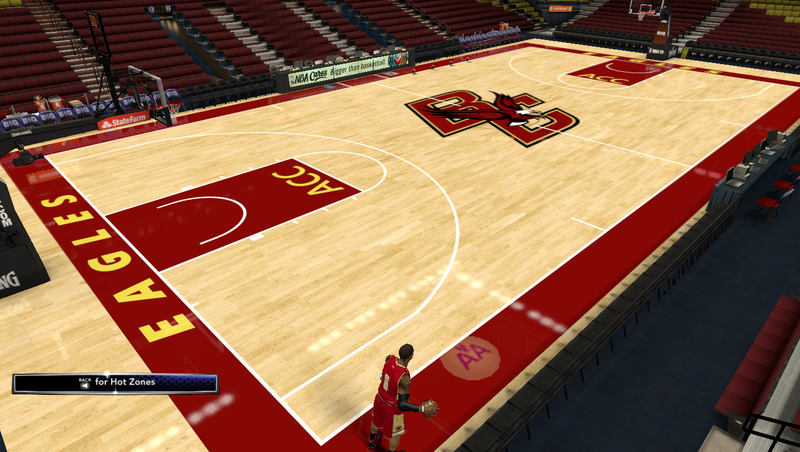 This also means I have to create all the floors, jerseys, stadiums etc. from scratch by myself. This is also my first ever attempt at modding NBA 2K14 whatsoever so I might make some mistakes along the way but even already I have corrected alot of my early errors. Im getting better everyday with some huge help from JaoSming's amazing tutorials and have JDAGOD help me out with any other little problems I have had. It has been nearly 2 weeks since I started this project and since then I have completed the following. @JDAGOD Thanks so much The courts are actually my favourite part so I'm going to do them myself but im creating a McDonalds All American Game 2017 court for my Rookie Showcase if you want it. DaCrispy wrote: @JDAGOD Thanks so much The courts are actually my favourite part so I'm going to do them myself but im creating a McDonalds All American Game 2017 court for my Rookie Showcase if you want it. Actually is my ball, but yes, I'm allowing you to use it in your mod. BTW remember about bumps, because on some of the jersey you can saw other wordmark under the right one like for example Brooklyn under the Colgate or Celtics under the Lafayette. That is actually a huge problem I'm having and I don't know how to fix it. Any tutorial link? 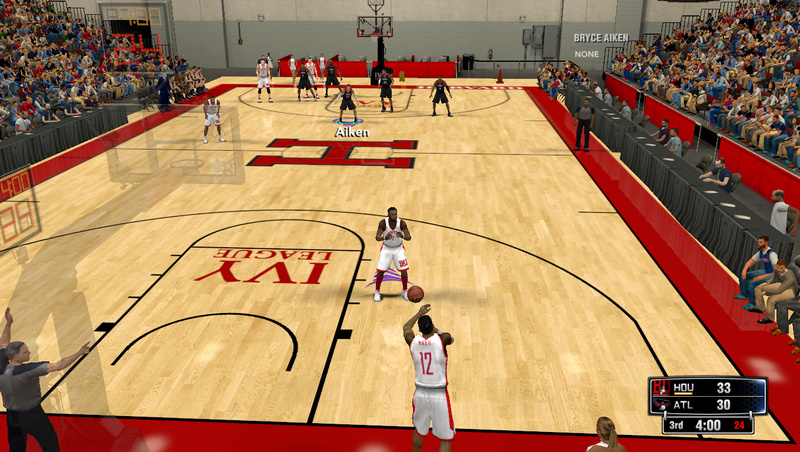 Look at previous versions of NBA 2K for info on green channels. There were tutorials posted. JaoSming made one for GIMP. Youtube also has videos but their search function turns up thousand of useless results. This file is called by multiple names so searching is difficult. Bump Maps, Normal Maps, Green Channel, Green Alpha, etc. Different graphics programs use different techniques. For Paint Shop Pro rhe Nvidia plugin does not work so I use SSBump Generator. XNormal can also be used. Really good looking so far, keep up the good work! I have about 8 spaces left for V1 so who do you have in mind? I will try to add the Big West conference but ATM I might only put 4-5 teams in for V1 as I'm planning on adding Jacksonville and some other personal favourites. Yes please that would be great!! !